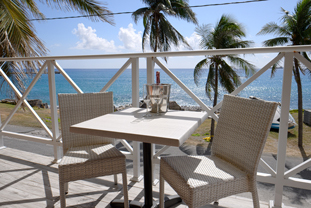 The new Orange Bay Hotel has 8 rooms located just a stone’s throw away from our dive center. The 4 types of rooms differ in price depending on their location in the building. their services and amenities include: Daily Breakfast at the restaurant Harbour Club Statia / Daily maid service / High speed Wi-Fi / Small fridge / 2 twin beds or 1 double bed / 40” flat screen smart TV (600+ live channels) / Air conditioning / In-room safe / Hair dryer, ironing supplies and ice bucket at check-in / Complementary coffee & tea in your room.